Photo: Lasse Eklöf (www.s-e-r.se) Please include, when published. Sweden’s Superwoman of Pop and Soul, ELINDA is a powerful adult contemporary vocalist and songwriter who has performed on stages across Europe, the U.S. and Asia. Known for her faithful covers of songs by ABBA and her demo vocals for Celine Dion, ELINDA exemplifies a sound that’s an explosion of positivity in music – pure joy and glowing with an exuberance that’s infectious. ELINDA draws influence from the great American pop and soul artists including Celine Dion, Whitney Houston, Chaka Khan, Prince, Justin Timberlake, Beyonce, Alicia Keys, Bruno Mars and Ariana Grande. Inspired by their vocal styles and fully staged shows, ELINDA has launched her solo career in the same vein. A trained dancer and sought-after singer, ELINDA has performed for the Swedish Armed Forces Entertainers, entertaining Swedish troops at home and abroad including Afghanistan, and has been a backing vocalist in concert and in the studio for major Scandinavian and American stars including Magnus Uggla, Markoolio, E-Type and Lutricia McNeal. 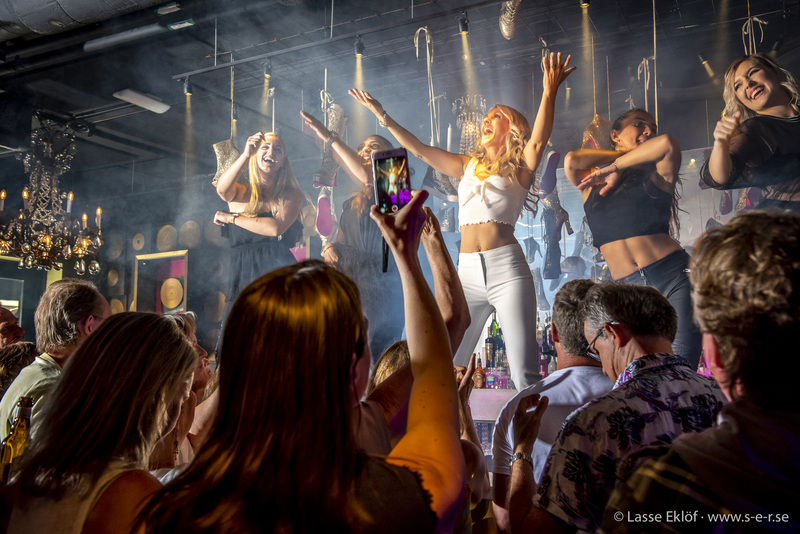 ELINDA also took her supreme theatrical talents into performing the key role of Agnetha in Sweden’s most acclaimed ABBA tribute group The Original Band – The ABBA Tribute, who’ve performed worldwide including to a televised audience of more than 100 million. Her record label, Breaking Records, established with her husband, Swedish producer Mikael Frithiof, allows ELINDA to write and produce original material. Her debut solo album SUPERWOMAN, is a reflection of her diverse career and personal journey as an artist and mother of five. "Discover #NewSensation from #Sweden #Elinda with #Debutsingle #Superwoman. ELINDA is Linda Östergren Frithiof, a multi-talented stage performer and recording artist who comes from the small island of Ekerö, west of Stockholm, and began her career as a trained dancer graduating from the Lasse Kühler Dansskola School and the Ballet Academy, one of Scandinavia’s leading dance schools. Quickly recognized as a commanding singer as well as accomplished dancer, she performed at nightclubs and cabaret venues, and traveled widely to sing and dance at vacation resorts, on cruise ships and at corporate events. 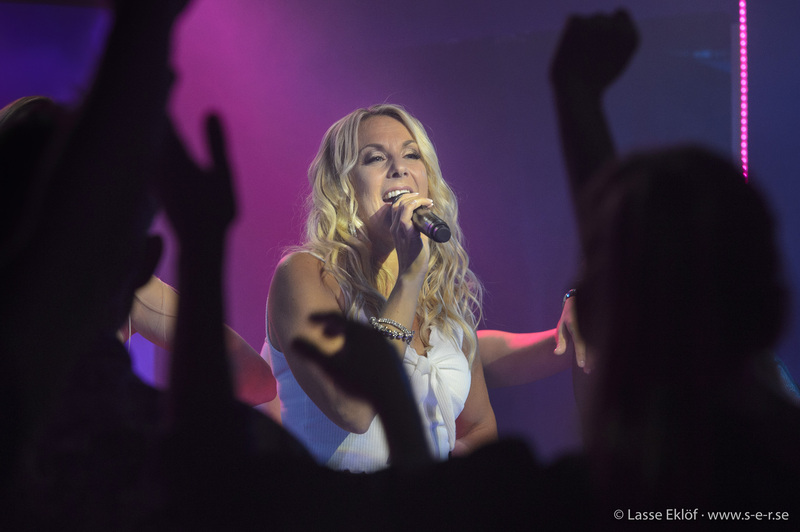 ELINDA has performed for a televised audience of more than 100 million and for the Swedish Armed Forces Entertainers, a hotbed of the country’s best music talents entertaining Swedish troops at home and abroad, including in Afghanistan.